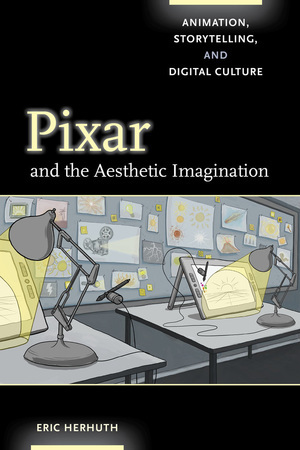 In Pixar and the Aesthetic Imagination, Eric Herhuth draws upon film theory, animation theory, and philosophy to examine how animated films address aesthetic experience within contexts of technological, environmental, and sociocultural change. Since producing the first fully computer-animated feature film, Pixar Animation Studios has been a creative force in digital culture and popular entertainment. But, more specifically, its depictions of uncanny toys, technologically sublime worlds, fantastic characters, and meaningful sensations explore aesthetic experience and its relation to developments in global media, creative capitalism, and consumer culture. This investigation finds in Pixar’s artificial worlds and transformational stories opportunities for thinking through aesthetics as a contested domain committed to newness and innovation as well as to criticism and pluralistic thought. Eric Herhuth is Assistant Professor of Film Studies in the Department of Communication at Tulane University.